Getting started in the web hosting business is now even easier and even more affordable. All you need to run a reseller web hosting account is minimal computer knowledge and a little initiative. That's as we'll maintain the servers and their hardware, software, data connection, and backup power supplies - leaving you to concentrate 100% on sales and marketing.. Now, you can have a solid, cost-effective foundation on which to build your very own web hosting company - without any of the high costs associated with renting and managing your own dedicated servers. Web Designers who provide complete solutions for their customers. 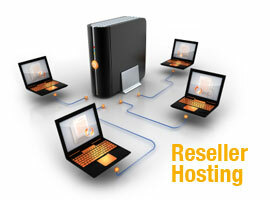 IT-related business providers who wish to diversify their business into web hosting services. Freelancers who have a good networking and wish to increase their monthly income. Then our reseller hosting solution is what you are looking for!